Cerakoted in FDE and then hand assembled using type 420 stainless steel coil pins (550lb breaking strength with better strength and corrosion resistance than 18-8 stainless steel). Maintains ALL three factory safeties when properly installed. 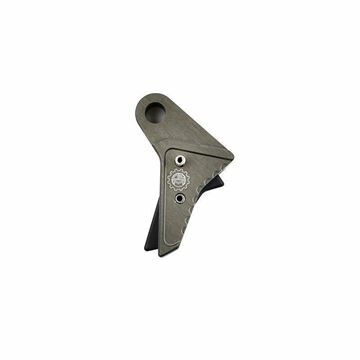 We take great care to provide you with the best and most durable flat-faced trigger on the market. Combining our custom triggers with the Safe Action System that Glocks come equipped with, you are guaranteed to get the most out of your handguns trigger assembly.